As the patriarch of a whole family of hardwood animals, it goes without saying that Kay Bojesen was a big animal lover. This charismatic functionalist was also a good judge of character in people, and was quick to realise how even adults are attracted to things in miniature. In the course of his career, Bojesen produced a number of larger-than-life miniature items, including Kvik the Terrier and the streamlined car, which both prove that it is often better to be small and alert than big and lazy. 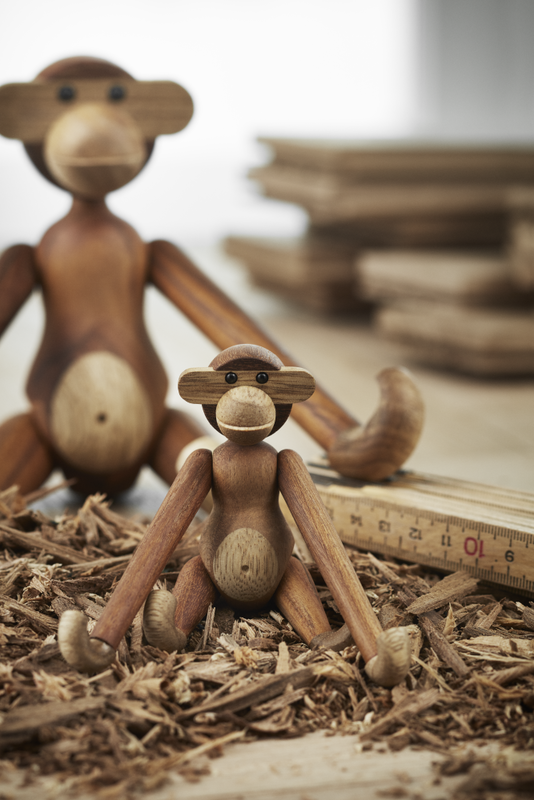 This also holds true in the design universe, where Kay Bojesen’s iconic Monkey has already taken the world by storm and is now ready to conquer more fans with the launch of the quirky design darling in a new size of just seven centimetres. 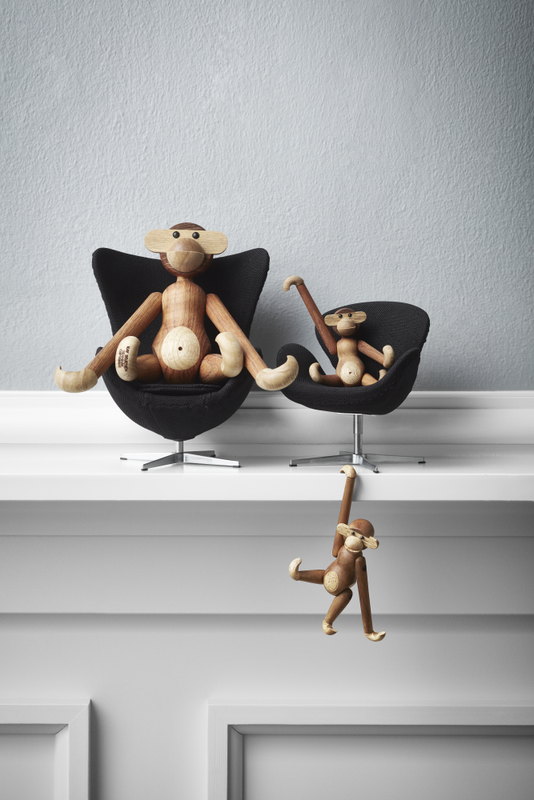 Even though the monkey has “shrunk” significantly in relation to its original format, its big personality and charm remain intact. 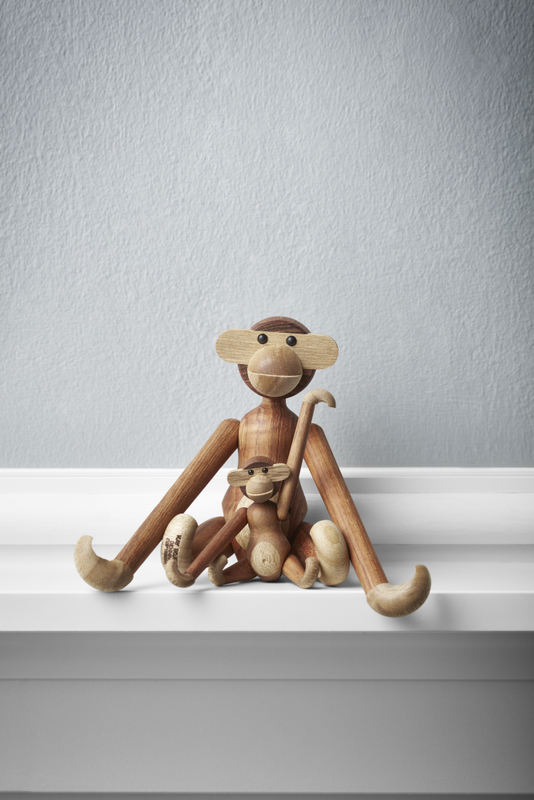 Just like its big brothers, the Monkey’s glossy black eyes gleam, while his long arms swing cheekily anywhere from the children’s room to the bookcase and the office, accompanying his owners through thick and thin. The new “minimalist” size is also easy to place anywhere in your home interior – preferably as part of a still life with other miniature Danish design classics, where small is beautiful.